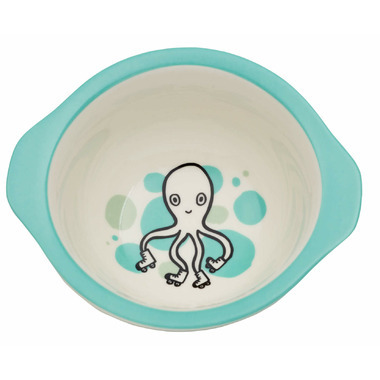 The Adventure Animals are the perfect companions to start a baby's eating adventure. 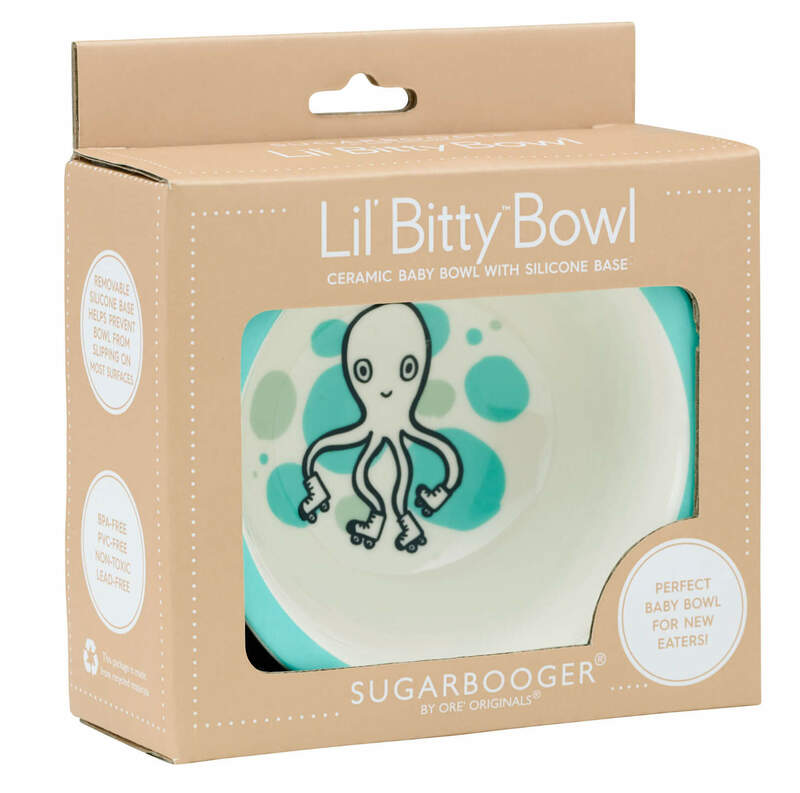 The Lil' Bitty Bowl is a ceramic bowl with a silicone base and is perfect for baby's first solid food. Sized just right for little portions and to easily fit in the palm of your hand. 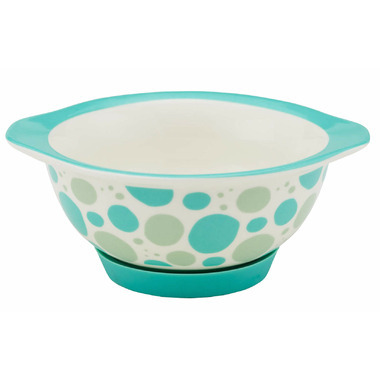 The silicone base helps prevent from skidding on the table and the bowl can be microwaved and washed in the dishwasher.